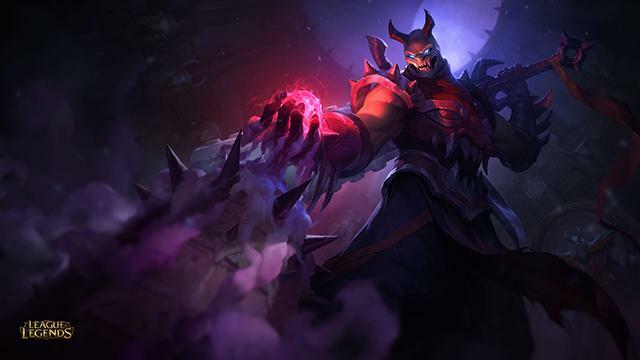 Thatâ€™s how players described the reimagined Malphite splash art, which saw the hulking horned creature barreling toward Helmet Bros futilely staging a defense. His old splash also depicted a solidly-built rock monster, but gave off an action figure toy vibe tooâ€”like your dog might pluck him out of the drawing to bury him in the yard. The new version of the Shard of the Monolith would have Fido running scared, tail between his legs. The positive reaction from players was a fist bump to the illustration teamâ€™s evolving approach aroundÂ LeagueÂ splashes, the culmination of an 18-month journey challenging their assumptions around what splashes should accomplish. The teamâ€™s goal became using splash to tell strong, fantasy-driven stories of champs for players, building windows intoÂ Leagueâ€™s IP. Malphiteâ€™s splash, unleashed in spring of 2014, was the planting of a flag. Splash art’s been part ofÂ LeagueÂ since launching in 2009. Back then, the illustrations drew inspiration from character select screens in classic fighting games, the kind youâ€™d see in theÂ Street FighterÂ andÂ Mortal KombatÂ series. Fighting game rosters could hit 50 characters, all tightly packed into an array of thumbnail portraits. Only by hovering over the thumbnail could you get a fuller look at the fighter. LeagueÂ splashes played a similar functional role, communicating to players exactly what champ or skin they were about to choose. The game started with just over 40 champs, before adding another 24 in 2010. Splashes helped players decide which champs to play, and the team drew up a set of rules for creating a cohesive feel forÂ LeagueÂ splash art. Andrew Silver, who leads the illustration team, recalls â€œaspirationalâ€ as a major buzzword the team often threw around. Champs always held either â€œheroicâ€ or â€œactionâ€ poses back then, with viewers always looking upward at them. Their source of power had to be prominently displayed, and their abilities looked as they would in game. Essentially, splashes were near-literal translations of the in-game experience, because thatâ€™s what the illustration team assumed players wanted. But while the splashes technically rocked, the player response didnâ€™t pan out as the team had expected. Take Elise, the Spider Queen, who dispatches exploding spiderlings at enemies before ambushing them from above. Upon release, she had two splashes. One, for the Death Blossom Elise skin, showed the champion dramatically mid-attack in a storm of action, fitting the conventional rules of splash. By comparison, her base splash appeared muted with her simply seated on a throne, patiently looking outâ€”yet this marked a major departure for the team. â€œThere were actual debates asking questions like, â€˜If sheâ€™s sitting down, can she really be aspirational to players?â€™â€ recalls Silver. This returns us to Malphite. Initially, the new splash caused hesitation within the team because of how far it departed from in-game, especially since Malphite is one of the smaller models in League. How could they then show him 8-stories tall? The team worried that players might freak out: maybe representing the model was key to maintaining the fantasy. But, in the end, the response proved they could trust their gut. â€œWhile we create Malphite in-game to fit inside the gameplay space,â€ says Silver, â€œMalphiteâ€™s core thematic is the unstoppable forceâ€”we need to be able to understand the reason for him being unstoppable.â€ Turns out thatâ€™s pretty badass. To nail the core of Heimerdinger â€” something like a fine blend of Nikola Tesla and a cyborg Doc Brown â€” the team examined how a mad inventor would likely react in a scrap. What else would an inventor do but assemble things even while in battle?Â â€œHeimerdinger doesnâ€™t need to be looking at the battlefield to know that the fight is going the way he wants it to go,â€ says Silver. You can check out all the April Fools skins HERE. Surprise Party Amumu got left out, but you can find a preview of him HERE. The option paintsÂ all allies blue and all enemies red, regardless of which side of the map you start on. Championship Shyvana will be available for 975 RP in the store after Patch 4.18 hits live. Link to preview. Tristana’s new AS values, courtesy of fellow reader Jim Gunderson. Debonair Ezreal and Debonair ViÂ got their splash arts! Doom Bots areÂ hereÂ as a featured game mode and will be going away on July 27th, QA Analyst Repertoir elaborates on the Vel’Koz changes we saw in yesterday’s PBE patchÂ and shares more buffs on the pipeline, Lead Champion Designer Meddler continue his Q&A with updates on Fizz, Zed, Syndra, Yorick, Zilean and Sion, as well as the team’s mentality when buffing and nerfing. 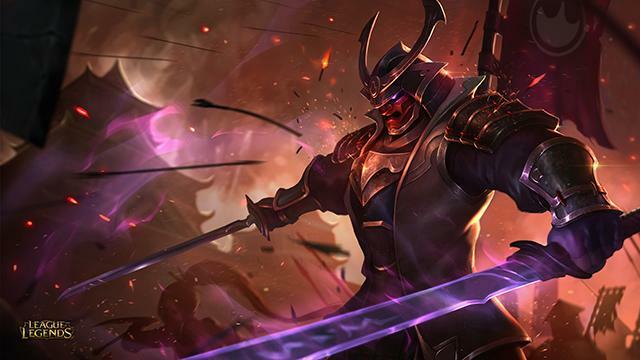 Lastly, 32 skins will be getting their splash arts replaced with those from the Chinese client. After weeks of tweaks and tests, the Doom Bots of Doom have been set loose onto live! If youâ€™re looking to test your abilities against Leagueâ€™s craziest challenge yet, then sign up! Whatâ€™s more, play a game against the Doom Bots and youâ€™ll earn a unique summoner icon regardless of whether you win or lose (which might take a few days to appear). Get to it before we haul the Doom Bots back into the FGM workshop on July 27! And while youâ€™re catching your breath between games, tell us about your Doom Bot stories! Did you win? Did you… not win? You may or may not have noticed that there are Vel’Koz changes on PBE. I just wanted to pop in and tell you guys our plan for them and a bit about our direction for Vel’Koz on the whole. Let’s start with what our goals for Vel’Koz generally as a champion. When making Vel’Koz, one of the most important things that had to be true about Vel’Koz is that he fulfills the role of a terrifying laser face melter. On his release, I’d say it’s fair to say he felt that way, but his ult often felt like there was something lacking if you actually built the primary mage offensive stat – Ability Power. I definitely understand that Vel’Koz is an effective support, and our changes try to give consideration to the fact that players are finding success playing him as a support. That said, our intention for the character was always that his R would be feared in a similar fashion to an ultimate like Fiddlestick’s Crowstorm in that it should be an incredibly meaningful, powerful moment for Vel’Koz and an incredibly dangerous moment for opponents. Given how his R’s damage scaled, it had that feeling in the early game, but with a full offensive build, it tended to lose that effect as games went on due to its lower Ability Power ratio. We knew this was likely going to be the case on Vel’Koz’s release, but we decided to go forward with his release numbers because we saw him as a challenging character to pick up and play and high base damages on the R would provide a relatively standard experience per cast of the ability. Now that he’s been out for a few months, we want to really emphasize that when he buys damage, he yields results via his ultimate, and that’s why you’ll be seeing the lower bases and higher ratios on his ultimate for now on the PBE. Again, I’d like to reiterate that we are aware that support Vel’Koz’s damage will take a hit if we go through with these changes, but it is our intention that Vel’Koz’s character-defining ultimate scale really well with items to better hit character highs on the ability. If taking the base damage off of a character’s ultimate is the only change that moves him out of the support position, then that’s probably a sign that numbers were out of whack anyway, since supports are primarily picked for their utility anyway. On the note of utility, we are indeed looking at reducing the slow on Vel’Koz’s ultimate, but allowing it to stack on targets as well. For those of you that remember the Vel’Koz release teaser, we really want to bring out that feeling of him focusing in on a single target and evaporating him, and we think this change helps to clarify that purpose and achieve that goal without doing a mechanic like ramping damage or something of the sort. All other changes on Vel’Koz are aimed at just making various spell effects better match their visuals. One thing to remember about slows in League of Legends is that there are diminishing returns on high value slows. Whereas a 20% slow will usually slow for most of the expected amount, a 75% slow may only slow for around double the 20% slow after diminishing returns. If you ever want to see what I’m talking about, run through a wall of Thresh’s R; despite being a 99% slow, it doesn’t slow you down to ~3-5 MS.
Â TL;DR – The slow will stack up to a 75% slow, but slows have diminishing returns, so targets will not lose a full 75% of their Movement Speed. Honestly, we are not trying to solve “Glass cannon mages are not seeing play” with these changes, because that’s probably a symptom of a greater issue that probably isn’t a good idea to address with a numbers arms race or character identity misalignment. Vel’Koz was always intended to be mainly a glass cannon mage, and we’d like for his numbers to reflect that. All that said, there may be work to be done on these numbers still. Thanks for the feedback; I’m still not sold on this as a final changelist yet, so I’ll keep everyone posted. One thing that’s worth noting is that we don’t actually think Vel’Koz’s current overall power level is too far off. We just think the actual distribution in power in how his ultimate deals damage is out of whack, focused far too heavily into the base damage and not enough in the scaling. There’s a full Sion rework (visual and gameplay update) underway at the moment, with a core theme of ‘undead juggernaught’. I’m a bit concerned Syndra may be too strong a lane bully at present, it’s also possible we’ve now made her stun a bit too easy to land, in contrast to its previous state. Don’t think the live balance team have any immediate plans for her, an adjustment at some point might be needed though. I feel he’s a relatively healthy assassin design and personal opinion is he might be a bit on the weak side. He’s a champ we’re talking about right now, but haven’t got firm plans for yet. We’ll work on Zilean at some point and that will include replacing his passive with something more satisfying throughout the game. Will definitely investigate whether there are opportunities to use ‘time mage’ better as a theme as well for his kit as a whole, too early to say what changes that might result in or when though. Yorick? Full rework and visual upgrade together at some point most likely. Ghoul summoning gravekeeper’s got a lot of potential as a concept that Yorick’s not making use of, plus the playing against experience in lane can be pretty frustrating. Don’t think he’s on the list at the moment. I’m no artist, so not my area of expertise, but doesn’t leap out to me at least as particularly in need. We do want champions to have identified weaknesses, we don’t want those weaknesses to be specific to a single other champion though. Many mages for example are vulnerable if you’re able to dive them, which gives the other team a range of possible picks that can accomplish that. Having a single counterpick on the other hand can lead to very binary performance (did you ban out your counterpick? If so, grats, you win, if not you’ll get stomped) and lack of choice for the opposition. Constant assessment of how champions perform in different lanes and at different levels of skill/types of play, gathering of feedback (from regular players and pro players), some use of statistical analysis (as an indicator of things to investigate, not a guide) and a lot of playtesting. Same answer with any other part of the game, though there are some things that require really large sample sizes, or long periods to master, where we’ll need to go with a best estimate and then continue to balance post launch. Possible we might see said champion elsewhere, top lane’s our prediction for where they’ll probably function best based off their kit/our internal testing. I’m generally a fan of abilities on champions that require you to build skills unique to that champ, in particular because it gives a really distinct path to mastery for players that really want to invest in that champ. Manipulating Orianna’s ball, especially how you use the distance return, is another good example of that. We will be doing other champs with unique skills in that sort of line, wouldn’t want to do anything exactly like Draven’s axes though, that’s Draven’s thing. Wouldn’t rule it out, wouldn’t count on it either though. Characters mentioned in other champions’ lore can be good opportunities for future champions, sometimes characters are better suited to be non playable parts of the cast though, so a character getting named’s not a guarantee they’ll one day be a champion. Plenty! The best ideas we’ve had but haven’t finished are ones I’m still hopefuly we’ll figure out a way to do. Then there’s Barn the Sentient Barn, who I’ve got a soft spot for but, even being really, really optimistic, would have to describe as ‘incredibly unlikely’. Reasonable at some point, though almost certainly with some constraints to ensure it’s situationally powerful but not a guaranteed ability to force a 2v1 or ensure a 1v1 goes in your favor. Riot Silver: Hey dudes and dudettes! Wanted to jump on here to let you guys know about some skin splash changes headed to PBE. Specifically, we’re replacing the splash art for around 32 skins (For right now, no bases). Some of you may recognize these splashes from other League of Legends regions. We’re constantly seeking to improve LoL across the board, and splashes are no different – as you may have noticed, we’ve been concentrating on base splash updates in recent patches. As with other art assets, a lot splashes in League have aged over time. 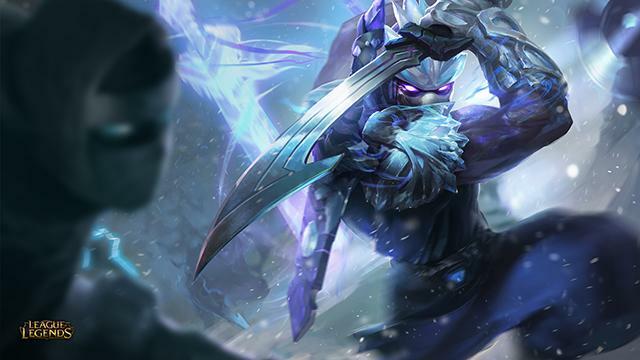 We 100% want to improve all of this out-of-date content, but for now a lot of our work is focused specifically on updating base champion splashes. This led us to seek out stopgap measures for showing love to some of the most out of style splashes where we already have better alternatives available (cough…Grandma Lux). To reiterate, this is a temporary step focused on, right now, only the worst offenders. The art style for these splashes was a bit different from our visual target, and we didn’t want to create a long-term rift in our splash content. However, due to the amount of time and resources we need to bring these splashes fully up to our visual target, we have reconsidered some temporary solutions for these splashes. Why didn’t you change X splash? What if I don’t like X splash? Why are these only skin splashes? This change is a stopgap for a few skins while we focus hard on updating base splashes to our current style target. These splashes are a bit more sensitive given that they’re more highly visible (e.g. minimap icons, champion select, etc…). In general, we’re looking to err on the side of caution where there’s a very clear quality increase with little risk of confusion. Huge thanks to Reddit userÂ IfishIIIÂ for putting up an imgur album with all the new splash arts! New Urgot In-Game Icon. You can check out Urgot’s new Splash art here. Â IronStylus:Â I don’t think she’ll be up for anything anytime in the immediate future. She has some pretty janky things in her model (bad deformation, noodle arms, etc) but overall she’s not *that* bad. I think she’s actually pretty distinct as a character. She would however benefit quite a bit from a texture update and some geometry tweaking to make sure her elbows, knees and ankles bend appropriately. To my knowledge we could address those with some rig changes. [ Question ] Wasn’t Akali supposed to get a new Splash art last June ? Â IronStylus:Â That’d be RiotSilver’s domain. Not sure where she stands on a splash update. Caitlyn doesn’t look bad either, yet she’s slated for a VU. Why isn’t Akali? Â IronStylus:Â Akali theoretically wouldn’t need as much of a thematic overhaul as Caitlyn. 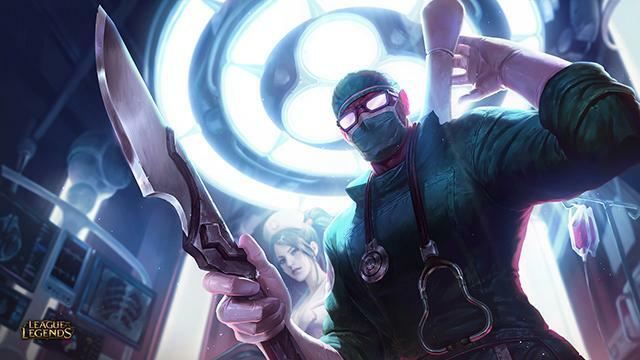 That and other factors tend to push Caitlyn to a higher position of priority, such as visibility, approachability of the champion, “visual health” of the champion, etc. 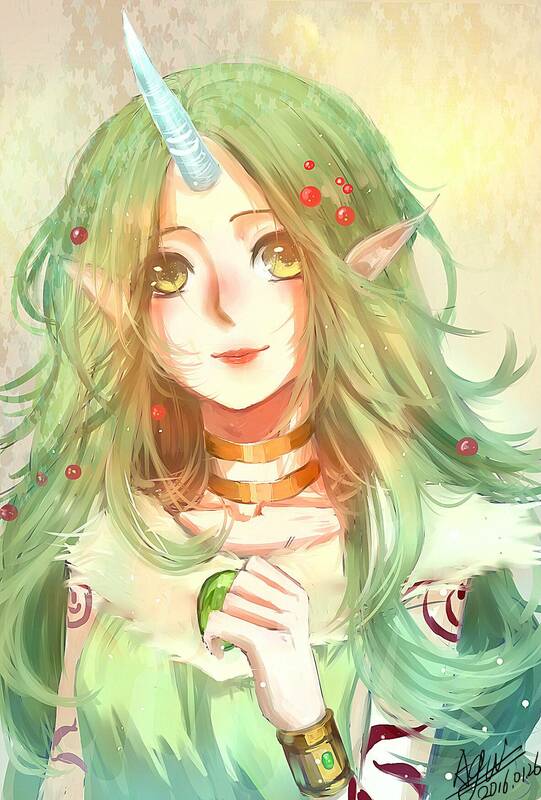 She’s one of our more popular characters, especially where ADC’s are concerned because she’s sort of “entry level”. [ Follow-up ]Â So Caitlyn which came out later is closer to one? How about Ezreal? Â IronStylus:Â We don’t prioritize by order of initial release. Each champion is looked at independently. My personal opinion is that Ezreal could use a lot of love though. [ Follow-up ]Â Don’t you think you should prioritizeÂ visual updates by the Champion’s release date? A lengthy post by SummonerÂ BFNASmurf explains the visual downgrade of Pentakill Mordekaiser and how it should be resolved. [ Question ] Why do you think the new textures are an improvement? Texture in our game, when functioning properly, takes on a property where small details diminish into large graphic shapes when zooming out. When zoomed in, detail will be apparent but have less contrast. Also, contrast and color saturation will be more pronounced towards the top of the character and reduce to lower contrast and deeper colors towards the foot of the model. This is called visual hierarchy. When the hierarchy is intact and the model is reading well from game, without noise, without excessive contrast and without confusion, we consider it balanced. Texture balancing is something you may see more of as it becomes more apparent that some of out current models appear very harsh, jarring and confusing on the new SR. Skarner was given this sort of balance pass, along with a specular map, to help his texture not compete with itself. That said, I understand how the reduction of noise can be seen as the removal of detail. That will come down to personal taste. I personally think the new texture is a far superior execution than the original. [ Question ] Don’t you think the skin needs at least some color correction so we can see more scratches on the armor? You want contrast, not color. Â Â IronStylus:Â I mentioned I wasn’t the authority, nor did I know what, if any, change might occur. I’m in no way in charge, nor do I really work with the skins team in a production capacity. But I look at the skin and I see a raise in fidelity, straight up. That’s myÂ opinionÂ as an artist from the standpoint of good game readability. A few recent Reddit threads called out in-client chat rooms as being badly underdeveloped and unusable. Riot is aiming to make them a real hub for the community to hang out. Â Riot Metasystem: Riot Metasystem here to talk to you about our chat room system. Many have pointed out that there are some flaws and I’m here to discuss those issues and solutions to address them. Long term weâ€™re exploring and working on major and minor improvements to chat and chat rooms aimed at enhancing usability and adding new functionality. As an immediate action weâ€™re going to disable the public chat rooms until theyâ€™re useful and accessible. In their current shape they just donâ€™t work and can actively create negative experiences for many players (especially new players). Weâ€™ll keep all private chat rooms and messaging available to everyone, and bring the official public chat rooms back as soon as we can. Now that weâ€™ve talked about the current state of chat and some of our first steps, I want to explore what our goals for chat are. Weâ€™d like to create a persistent hangout for the friends you play with. Those friends should bring in their like-minded friends as well, and the badass players you meet playing great games. While you’re at it, why not invite some players from the community as well? At the end of the day, when you log in you should feel like you’re surrounded by active players that like to play League the way you do. You should be to able jump easily into games with those friends – – without having to send game invites one by one. Whether we call them chat rooms, hangouts or communities, they could grow to serve many purposes. Players could build a community for junglers, a mentoring group, a champion theory-crafting channel, or casual ARAM or Team Ranked LFGs. Some great communities like these already exist in League but it’s not easy to manage them well. Right now weâ€™re looking for your feedback. Tell us what youâ€™re looking for in our chat rooms, and how we can provide you with the right tools to make them into strong communities. We’ll work on the improvements at a steady pace, and keep you posted along the way. Join the discussion below! [ Question ] Why hasn’t anyone come forward to talk about the server transfer crisis thread being removed from the Sticky list on EUW forums? While the thread was removed from the sticky list, I can assure you that our work does not stop there. We have been tracking and resolving a myriad of issues faced following the transfer, but in all honesty, this will never be considered as a “completed” effort. And this is not because of incapacity to do so, but because improving the service for all of you to enjoy is an ongoing effort that will never truly stop. You might have read the post from Riot Tmx on the Network Diagnostic Tool (here), which essentially allows you to perform a connection test from your computer to the League of Legends servers and upload it for our team to use in optimization efforts. We have identified routing problems with it and are working on improving these (routing is essentially the path your connection follows to reach us, sometimes these take unnecessary detours which add to your latency and not necessarily related to the LoL servers). This is just one of the many ways for us to keep on working on reaching an impeccable experience for everyone. In regards to communication, we realize that it is important for us to keep our participation consistent, so that you do not have the impression we only “exist” during issues, and we will keep on working on improving as per our promise to you guys. And this does not only go for the English forums, but the localized ones as well. And it is through the help of summoners like you giving constructive feedback that we will be able to reach a level that will satisfy you. In fact, what level of communication would you feel happy with? Or rather, which medium do you think would be the most valuable for you as a player? Note that I am not touching on the “word” you have briefly referred to, not because I chose to ignore it, but because I am not able to bring anything to the discussion that was not previously shared in other posts. Â Riot Draggles:Â The concept of imbalance is pretty neatly discussed by Extra Credits inÂ this video. 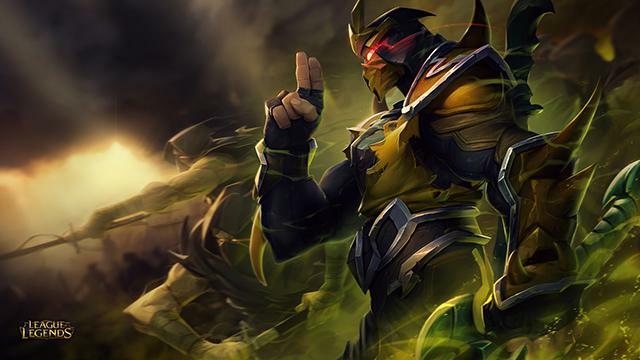 Remember Season 3 when assassins were everywhere, and then we released Zed, and everyone played him every game because he was ridiculously broken? I imagine we’ll be having this conversation in 6 months where players will be questioning us about (the secretly overpowered) Galio and Poppy being in every game.